Neymar da silva Santos Junior, known as Neymar or Neymar Jr. He was born on 5th February 1992 in Mogi das , Cruzes, Sao Paulo, Brazil. Neymar is a Brazilian Footballer. He plays for the French team Paris Saint Germain and the Brazil national football team at international level. He drew attention for his impressive soccer abilities at an early age. He emerged as a star for Santos FC as a teenager, Becoming one of the Brazil’s most popular player, After moving to Europe to join FC Barcelona for the start of the 2013-14 season he helped the spanish powerhouse win both domestic and international titles. Neymar joined the youth system of Santos FC at the age 11. His abilities spread to Europe, and Neymar was offered the chance to continue his development with Real Madrid C.F. at the age of 14. Neymar made his senior debut for Santos in 2009 and lived up to the hype by earning the league’s Best young Player award. He emerged as a full-blown star in 2010, that season he also made his debut for the national team and he became the most popular player and captured the younger fans. In the 2011, he also began to experience the backlash that accompanies fame. Neymar was criticized for his play during Brazil’s quarter finals loss in the 2011 copa America tournament. Neymar scored his 100th professional goal on his 20th Birthday in 2012 and finished the year with a career-best total of 43. The young star again was subject to criticism when Brazil lost the 2012 summer Olympics gold medal game to the mexico team. 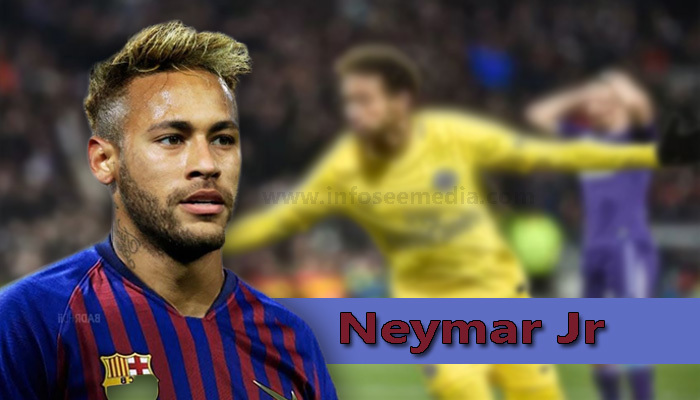 The 27 years old professional footballer, Neymar has an estimated net worth of $185 million in 2018, including all of his properties and earnings. He is currently receiving an annual salary of $53 million from his present club. Some of his many sponsorship deals include partnerships with Nike, Gillette, Beats Electronics, Red Bull, Panasonic, Volkswagen, Claro, Unilever, Santander, and as many more. His 11 year Nike deal worth $105 million will earn him $9.5 million every year. He is currently one of the best and most recognized popular football player. He started playing as a street footballer. Neymar has crowned champion of Paulista championship in São Paulo where he scored 14 gold and was chosen as the best player of the season. In 2011, Neymar won the “World Soccer Young Player of the Year” award and in the same year he won the FIFA Puskas Award for Scoring the best goal of the year.